With more than 450 libraries in over 40 states participating and offering exciting events and activities from author and illustrator visits to storytelling under the stars, from kite making to papel picado paper crafting, the 2007 El día de los niños/El día de los libros (Día) celebration was a great success. Día, held annually on April 30, celebrates books, language, and culture, and allows libraries the opportunity to demonstrate their value within the community as vibrant, cultural, and family-friendly institutions. 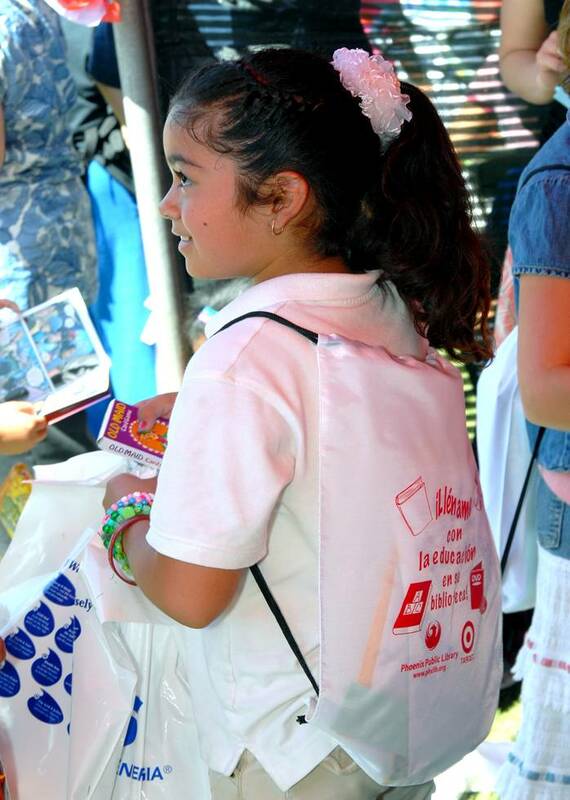 The Association for Library Service to Children (ALSC), national home of Día, and Target, official national sponsor of Día 2007, gave away 60,000 complimentary Día brochures, featuring recommended children’s books and tips for parents on reading to/with their children, and 60,000 bookmarks to more than 450 libraries that registered their Día event information online by April 16th. Even the U.S. Senate got into the act! In addition, ALSC and Target provided mini-grants of $5,000 plus a suite of Día-themed promotional materials to eight model public library systems, including El Paso (Texas) Public Library, Hennepin County (Minn.) Library, Public Library of Charlotte-Mecklenburg (N.C.), Queens (N.Y.) Public Library, Riverside County (Calif.) Library System, Broward County (Fla.) Library System, Providence (R.I.) Public Library, and Phoenix (Az.) Public Library. These "Super Sites" put grant funds towards purchasing culturally-relevant books for permanent collections or giveaways and/or to fund Día programs. Each Super Site also received a large display banner, bookplates, and bilingual Día brochures and bookmarks.